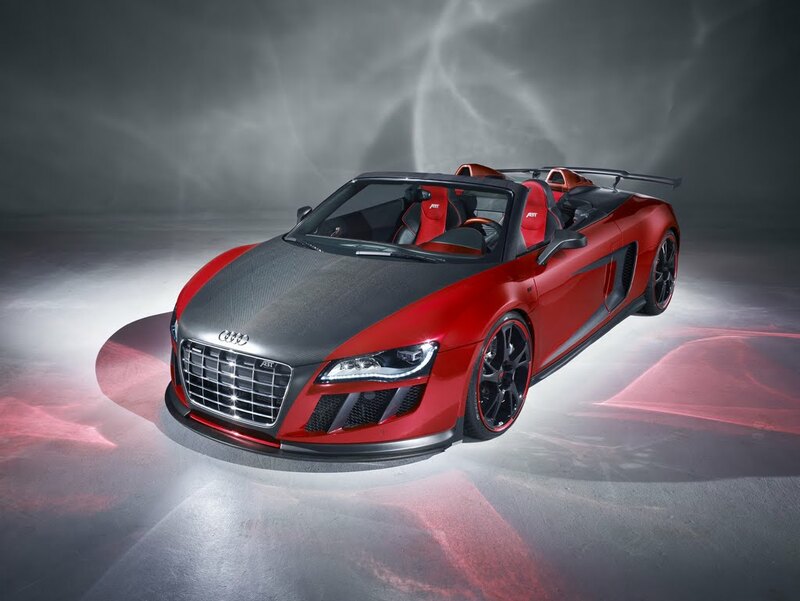 Making an official world debut at this week's 2011 Geneva Motor Show, ABT Sportsline has today introduced the ABT R8 GT S. Based on the Audi R8 Spyder 5.2 FSI, the ABT R8 GT S boasts 620 horsepower, aggressive carbon fiber styling, lowered suspension, upgraded wheels and a top speed of 199 mph. All making for what ABT modestly describes as their "hot open-top sports car." 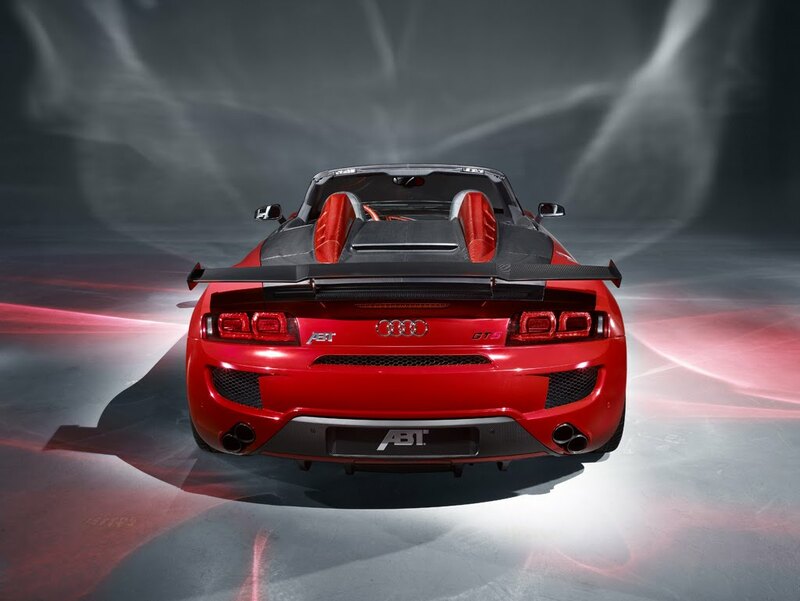 To boost the R8's 5.2 FSI V10 engine from 525 to 610 horsepower, ABT makes use of their patented POWER tuning program. 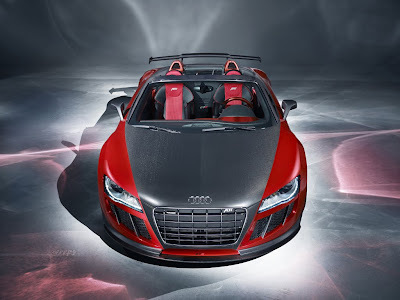 An upgraded ECU and ABT sports exhaust system are enough for not only a 20% jump in power but also a 3.6 second run to 100 km/h (62.5 mph) on to a top speed of 320 km/h (199 mph). As ABT explains, "the 5.2 litre V10 engine is fully compatible for everyday use and is real fun for cruising on country roads." In the handling department is an ABT lowered suspension system mated to a choice of 20-inch ABT "BR" or 19-inch "CR Superlight" wheels. 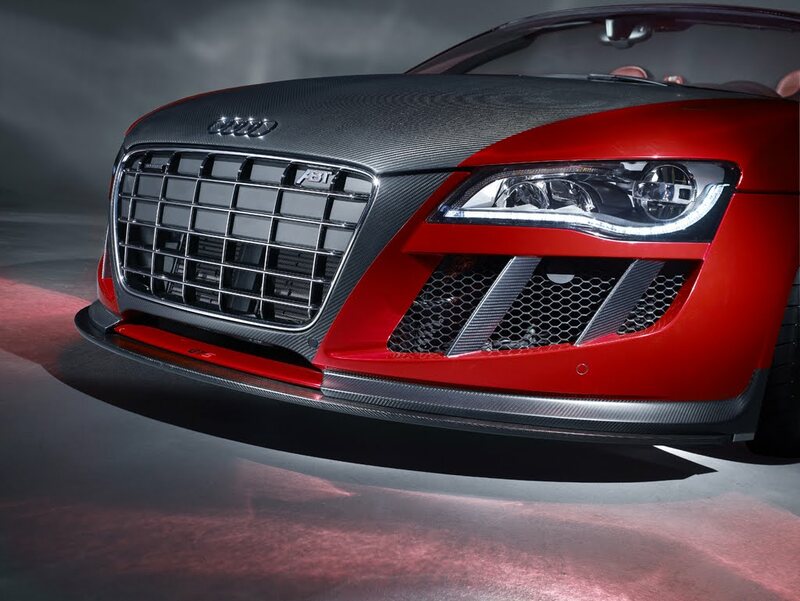 Outside, carbon fiber can be seen almost everywhere on the ABT R8 GT S. The hood, rear spoiler, front skirt, rear skirt, windscreen frame cover, red air scoops, engine cover and mirror covers all receive the carbon treatment. Not only does the carbon fiber add an aesethetic enhancement, it also helps the heavier Spyder reduce and optimally distribute weight. 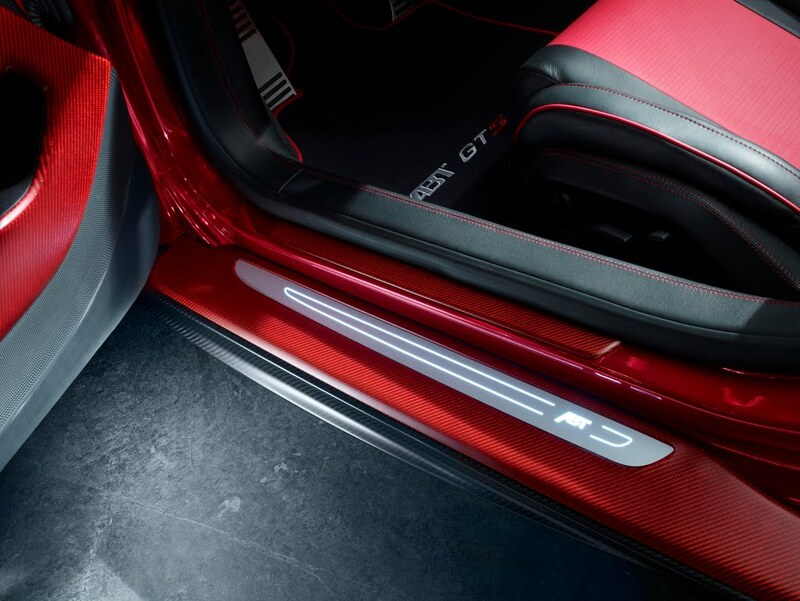 Inside, red carbon fiber can be found on the steering wheel, center console, shift gate and door panels; matched then with red and black leather seats and trim. 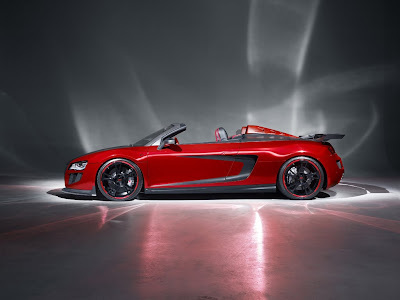 As mentioned above, The new ABT R8 GT S will debut at this week's 2011 Geneva Motor Show. If you plan to attend, be sure to stop by the ABT booth in Hall 5, Stand 5031.